When was your last dental check-up and cleaning? If it’s been longer than six months, contact Dr. Anthony Giamberardino and his team to schedule your next visit. These appointments are crucial because they allow our team to fully understand your unique smile noting potential problems and providing effective treatment that protects you from more severe damage later on. We want you to enjoy great oral health for many years to come! Patients from Arlington, MA and beyond are welcome to visit our Medford location and enjoy our modern facility and personal, state-of-the-art approach. During your routine checkup, Dr. Giamberardino will be as thorough as possible, closely inspecting each tooth, your gums, bite, jaw, any existing restorations, and more with the help of X-ray technology. We’ll conduct periodontal and oral cancer screenings as well in order to determine whether any disease is present that needs immediate attention. Once we have all of this information at our disposal, it’ll be time to sit down with you and discuss possible treatment options that fit your personal preferences and budget. Keeping teeth clean is a crucial part of great oral health. Over time, a sticky, bacteria-filled substance known as plaque is constantly forming in the mouth, threatening decay. While it can be cleared away with routine brushing and flossing, missed areas develop into a much tougher substance known as tartar, which can’t be removed without professional help. 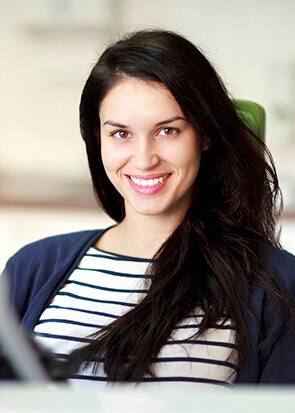 With routine hygiene appointments at Giamberardino Dental Care, our excellent team can keep your smile feeling refreshed and looking polished.